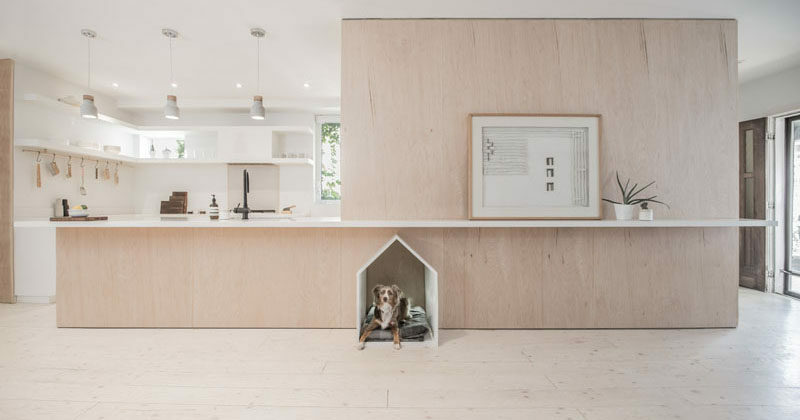 When Studio AC were designing the renovation of a house in Toronto, they made sure to include a design element for the family dog. 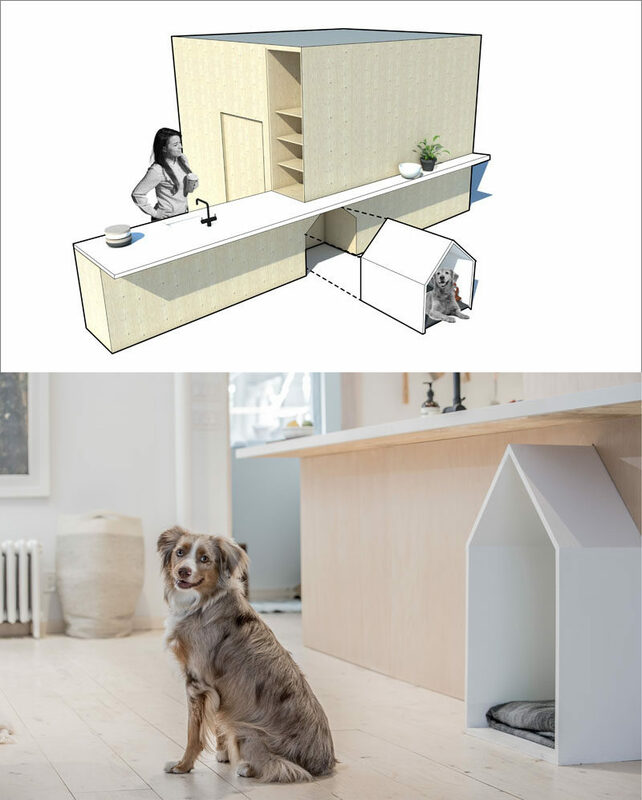 As part of the design brief, the clients requested that a space for a dog bed be included in the design, and as a result, the designers created a small dog house that fits into the overall design. 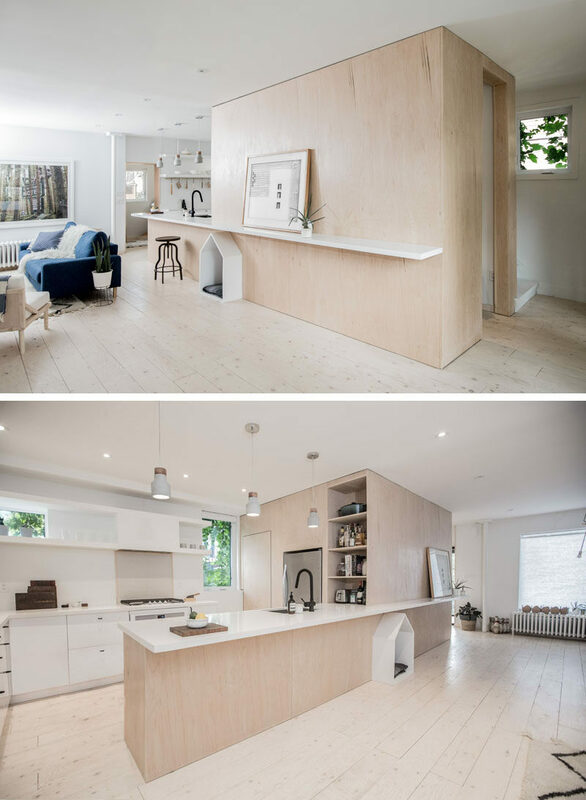 A central plywood box was designed as part of the renovation process that connects the kitchen, dining, living and entry, but it also has a small nook cut out for a little white dog house that pops against its plywood surroundings.